We’d love your help. Let us know what’s wrong with this preview of Sweet Corn, Fields, Forever by R.J. Minnick. You have to ask the question: where have we come, and how? Jason Fields is opening his new research and design facility with a gran Country Music tours North…..
Jason Fields is opening his new research and design facility with a grand Open House. Before the event begins, he gives Dr. Mackenzie Wilder a personal tour -- which puts an early end to the festivities. They discover the body of country musician Tyler McCloud, strangled in a first floor conference room. 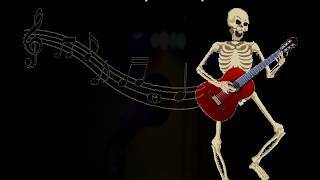 They're sure they didn't have anything to do with his death, but Jason's past involvement with country music and this particular family lead authorities to think otherwise. It takes Mackenzie Wilder's faith in her friend and the staunch support of Tyler's sister Tory to uncover "what Tyler did to get hisself killed." From upstate New York to Charlotte, North Carolina, from Las Vegas to Nashville, the deaths and confusion mount. To ask other readers questions about Sweet Corn, Fields, Forever, please sign up. Country music, love, jealousy, secrets, gambling and drugs weave a tangled murderous web. Diminutive Dr. Mackenzie Wilder and her sweetheart Detective Lt. Bryan Jamison are back and hot on the trail. Someone’s killing the family and friends of country music star Tory McCloud, and framing her and her brand-new husband Jason Fields for the crimes. Can they catch the killer before something bad happens to Tory? And who the heck is joyriding in Mackie’s beloved antique wooden boats? Follow the trail Country music, love, jealousy, secrets, gambling and drugs weave a tangled murderous web. Diminutive Dr. Mackenzie Wilder and her sweetheart Detective Lt. Bryan Jamison are back and hot on the trail. Someone’s killing the family and friends of country music star Tory McCloud, and framing her and her brand-new husband Jason Fields for the crimes. Can they catch the killer before something bad happens to Tory? And who the heck is joyriding in Mackie’s beloved antique wooden boats? Follow the trail from Nashville to rural upstate New York, Charlotte and Las Vegas in this gripping whodunit. Oh, you’re also invited to the quickie Vegas wedding and the Hallowe’en party back at Mackie’s place, so be sure to pack accordingly before you open the book. In this second book of the series, the author alternates narrative perspective between Tory and Mackie in certain chapters. The complexity of the alternating narrative and the similar naming of the brother-sister country music duo lead to a few slips. In the last line of the Chapter 16 news story, for instance, the State Police are investigating the murder of the surviving sibling Tory, not the late Tyler. In Chapter 4, in which Mackenzie is the dedicated narrator, there is an abrupt switch to Tory’s storytelling (p. 25, para 7 in my .pdf editorial copy) for two sentences. There are also a few grammar items, like missing opening quotation marks, spaces between words and commas, but only a light sprinkling. The story is rock solid and I can’t help having read it three times now. As stated in my previous review of Where the Bodies Lie Buried, I feel the cover art could be improved by substituting the chapter heading classic boat art for the photograph currently in place. Also, while the posters certainly pertain to the character’s passion for classic wooden boats, in thumbnails they don’t come across well. I still can’t make out the words on this one when I blow it up. With the boat pic atop the cover art, plus boat pics in the header and body of the poster, it’s overkill on the boat theme. There’s a lot to be said for keeping things simple. 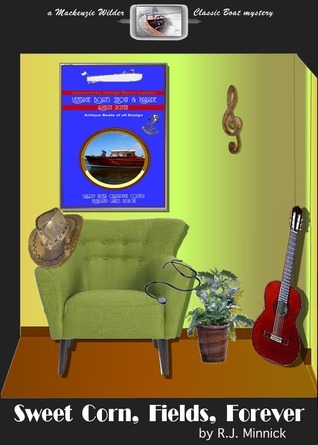 However, the cowboy hat, guitar and treble clef are just enough to indicate the unique theme of this book. A crowdfunding campaign to engage a professional artist and proofreader would help this book stand head and shoulders above the rest, where it rightfully belongs. DISCLAIMER: I received a complimentary editorial review copy. My opinions are my own.